"While every BTS member is a 10 out of 10, seven tens don't necessarily add up to seventy. 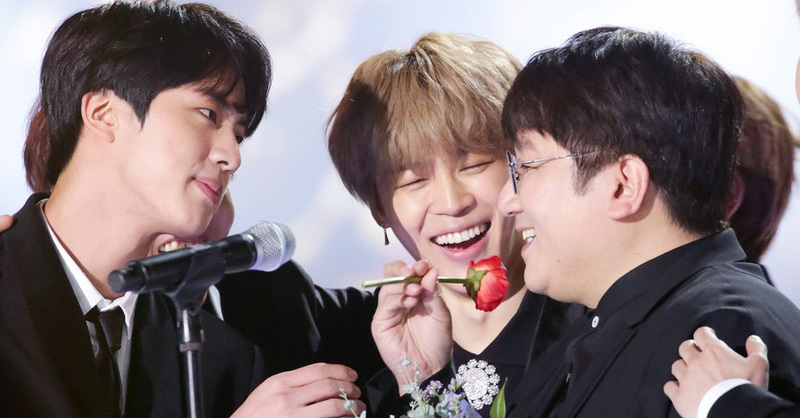 There must have been minor hurdles leading the seven boys of BTS, how did you deal with such hardships?" 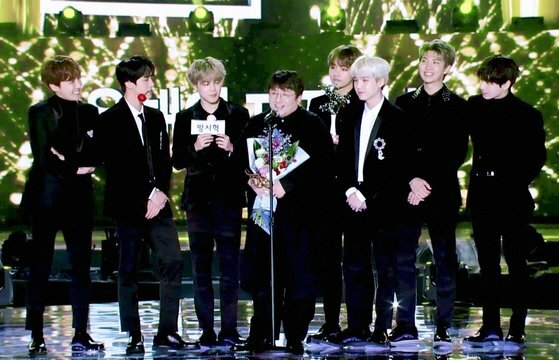 Asked this question in a February 23-aired lecture he gave, Big Hit Entertainment CEO Bang Si-hyuk answered, "I emphasize teamwork." 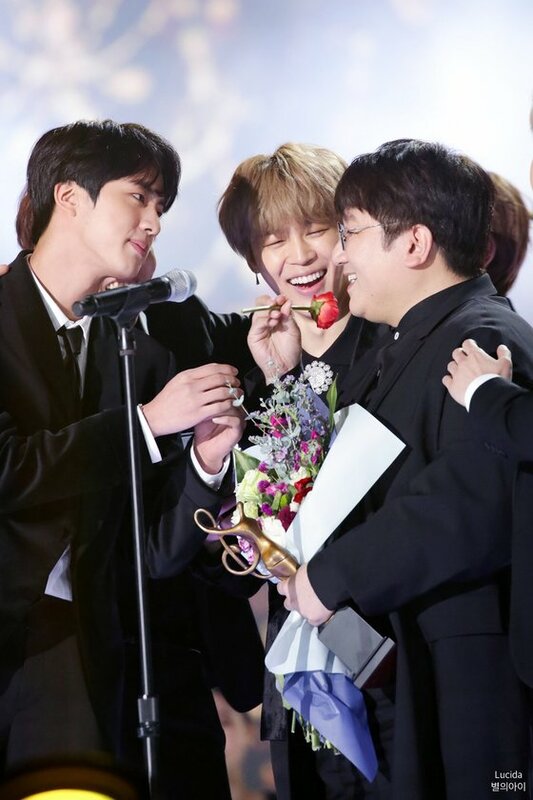 He stated, "Our company has an audition team, who always say 'we're proud at sight of BTS but simultaneously feel despair. 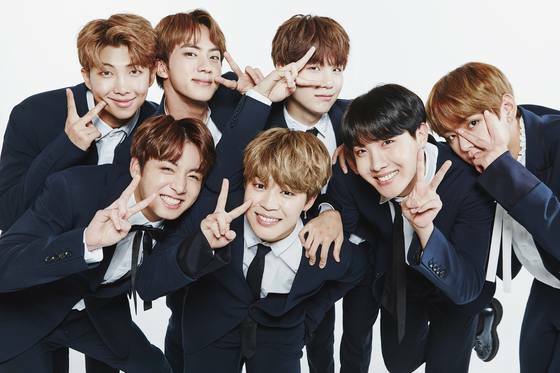 We never knew that the seven of them would create such a synergy altogether, so we're doubtful about whether we would be able to put together a good group once more'." 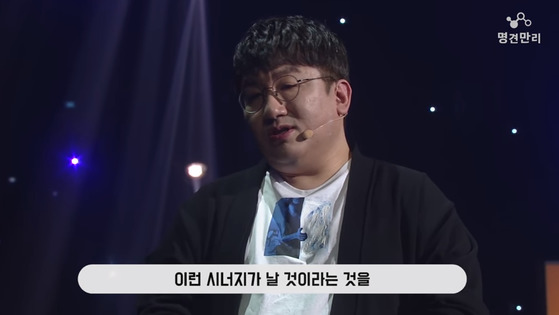 Bang Si-hyuk also stated, "I underline the importance of teamwork, saying stuff like 'No team, no individual.' We all promise that all the communication would take place as a team." He added, "Should you get angry with one another, it's okay to fight, even fistfight. I tell them to 'not be afraid to fight.' I tell them that fear itself grows the conflict." But there's one condition. Bang stated, "Even if only two fight, seven must make up. I feel thankful that while the boys may start fights for petty reasons, in the end, the seven of them come up to me and speak about what happened. Even if what happened may be embarrassing to share with me, they still talk in the end. This is what creates such a synergy in the group."